PPS has not floated how much money would be raised in the 2020 bond. Officials said the goal is to keep the tax rate the same for property owners in 2020 and for years after - meaning, as the amount levied by previous bond measures go down, new bonds, like the one in 2020, would kick in. Portland Public Schools is starting plans for a bond measure in 2020. What's expected to be another nine-figure ask of voters might divert from the facilities plans set years ago, which prioritized renovations across high schools. There's at least one high school that should still be front-and-center as the state's largest school district considers going to voters again in less than two years. That's because cost overruns and overly optimistic construction plans have left one major high school project from the 2017 PPS bond drastically underfunded. Last year's $790 million bond was supposed to rebuild four large schools: three high schools and one middle school, in addition to $150 million in health and safety improvements — particularly remediation of districtwide lead in school drinking water. Over the last several months, the PPS board has approved plans for Lincoln and Madison high schools, as well as Kellogg Middle School, under the 2017 bond. 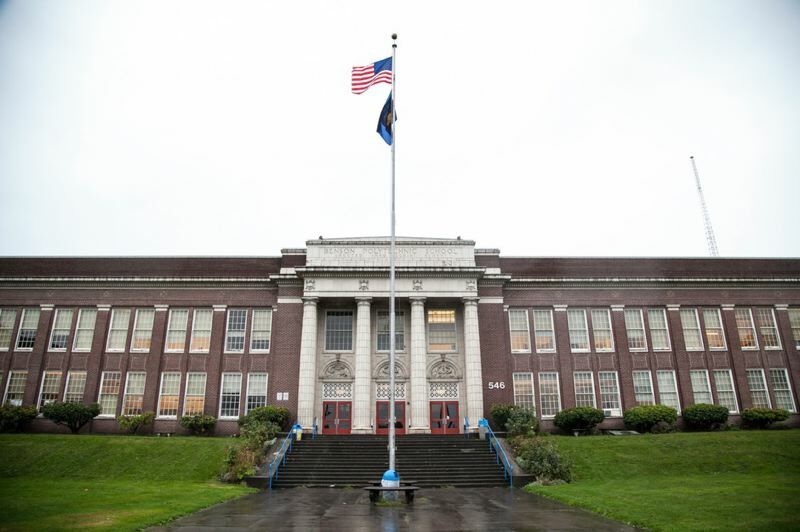 But it's short of funds to overhaul Benson Polytechnic High School, Portland's magnet for career-technical education. School district officials are working on a resolution to bring to board members on Dec. 18. The 11-page draft summarizes the context for the 2020 bond, including the limited funds available to rebuild Benson under the 2017 bond funds. It documents that the 2017 bond plans told voters that the Benson project would cost $202 million. But after committing money to other projects, including Lincoln and Madison high schools, Kellogg Middle School, and the health and safety priorities, the bond has only $78 million left for Benson. At the same time, Benson's costs have gone up dramatically. Oregon Public Broadcasting is a news partner of the Portland Tribune. You can read their complete story here.